The European Association of Chemical Distributors (Fecc) welcomes you to the Fecc Annual Congress 2013. The congress will take place in Hamburg, Germany on June 17-19. 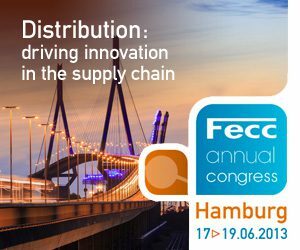 The Fecc Annual Congress is the leading event for the European chemical distribution industry and a key date in the European chemical industry’s calendar. Hundreds of delegates, from business leaders to stakeholders, attend every year.